Powershot fires staples or nails. Forward action prevents kickback. A wire attachment (furnished) converts the gun to a wire tacker. Its durable all-metal body has a soft grip handle. 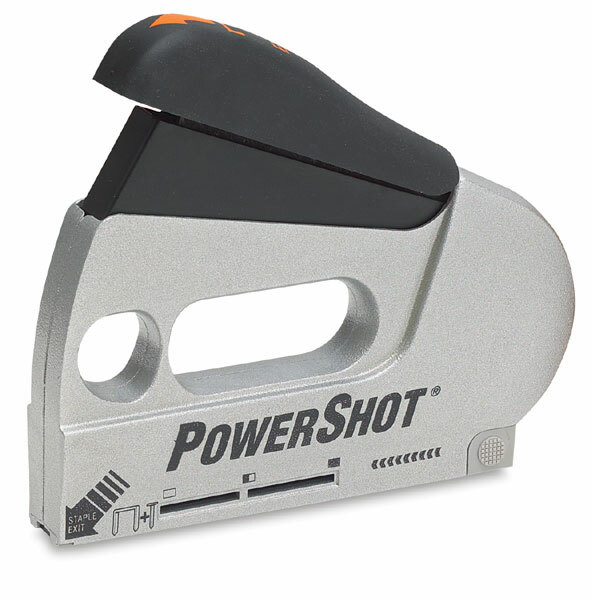 A low actuation force is required to fire PowerShot. The base shows a staples remaining window. It is furnished in a durable plastic storage box.  PowerShot is a trademark.